As the internet continues to evolve, so does the languages through the inventive and creative minds of people. Most would already be familiar the terms bromance (romance between ‘brothers’ or male friends), chillax (to chill), mojitos, frenemy (the combination of friend and enemy). As the cultural changes continue to grow, so does the publishing house of the eponymous dictionary, Merriam-Webster. 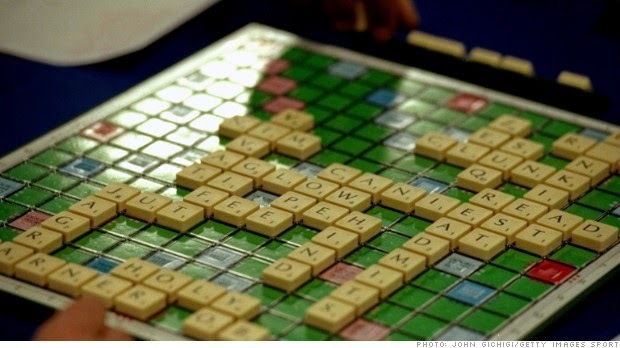 Just recently they announced that they will be adding more than 5000 new words reflecting 21’s century’s new trends, syles and facts to create a new edition of The Official Scrabble Players Dictionary with the help of the lexicographer, Peter Sokolowski-- much to the excitement and joy to the Scrabble players. It added up almost 40 pages to the Scrabble-sanctioned book of 100,000 already existing, playable words. As they haven’t given out the full list, they introduced however, 30 words and internet slangs that will now be added to the compilation for the fifth edition. This means, people can now use vlog, yuzu, selfie, hashtag, schmutz and beatbox legally without opponents questioning and challenging the word out of the board. Moreover, it isn’t only those which excited the players. Quinzee or quinzhee, a shelter made out of hollowing out a pile of snow can give one a staggering 401 points if one plays his/her cards right. Robin Pollock Daniel, a clinical psychologist from Toronto and a champion of the North American Scrabble Players Association also got ecstatic with the newly-introduced two-letter words giving them more possibilities on combining the new word with others such as ‘te’ a variant of ‘ti’ and three others: da, gi, and po. “I call those the amino acids of Scrabble. The more two-letter words we have, the more possibilities a word will fit,” Daniel mentioned. With these, people actually got jazzed up about the mind-itching, competitive game. However, there are also those who are skeptical on the addition of the new words saying that before long, any made-up words will do which would degrade the genuine competitiveness of Scrabble.